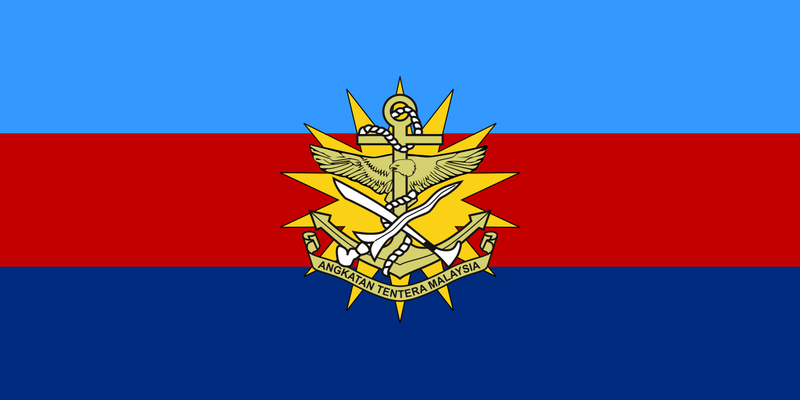 The Malaysian Army stands to gain handsomely from the unique pedigree of its Chief of Army, General Dato' Sri Zulkiple bin Haji Kassim, as it shapes up for future defence challenges. Zulkiple is one of the few officers who have risen to the Malaysian Army's pinnacle position of Panglima Tentera Darat (PTD) whose career history counts experience at both parachute and mechanised infantry units. But Zulkiple's unique pedigree does not stem from army units he led as he moved up the ranks. Instead, it is Zulkiple's tenure leading airborne and mechanised infantry units during their formative years that is noteworthy. 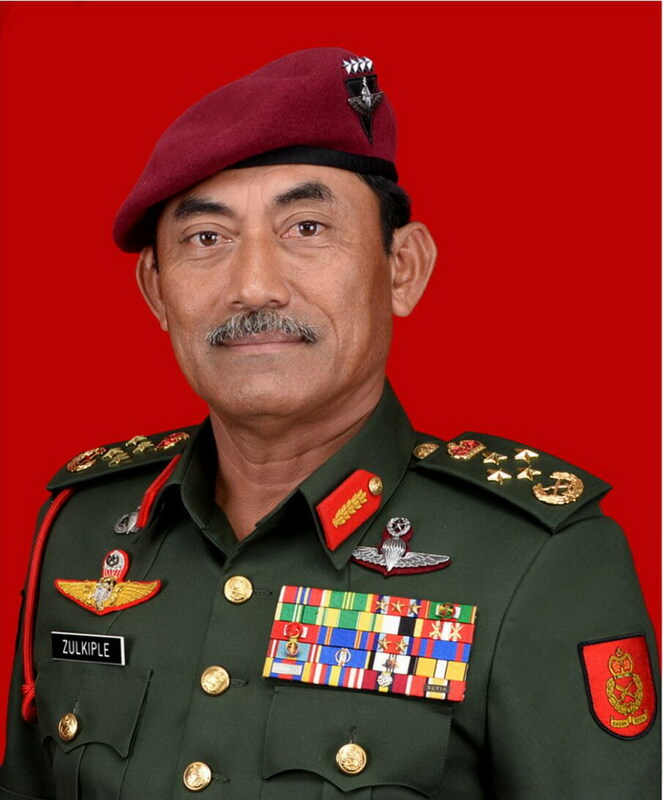 Zulkiple was Commanding Officer of Batalion ke-17 Rejimen Askar Melayu Diraja (Para) in 1994. That same year, then Malaysian Prime Minister Mahathir Mohamed redesignated Briged 10 Infantri Malaysia as 10 Briged (Para) as a nod to the unit's elite status as the army's Pasukan Atugerak Cepat (PAC, which means Rapid Deployment Force). 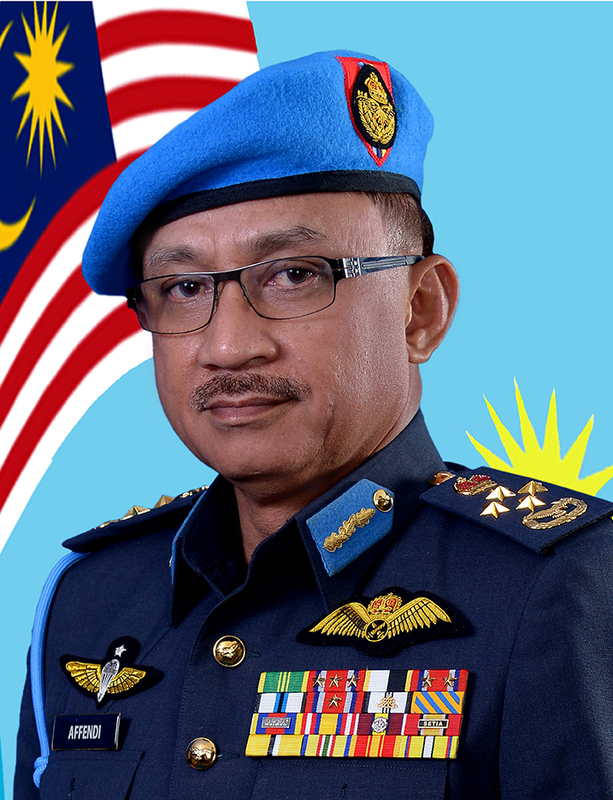 In 2003, Zulkiple was appointed commander of the Pahang-based Briged Keempat Infantri Malaysia (Mekanize). His posting took place at a time when the Malaysian Army's first mechanised infantry brigade was making inroads into transforming infantry battalions into fully mechanised units, with concept of operations (CONOPS) being formulated for fighting units equipped with tracked and wheeled armoured personnel carriers. Leading these units during the formative stages of new CONOPS has earned Zulkiple a perspective that few others can match. This is because he would have seen, firsthand, the conceptualisation, implementation and refinement of new ways of fighting. Along the way, Zulkiple would have been appraised of the thinking underlying the PAC and Mekanize fighting concepts, as well as the upsides and downsides to various courses of action. In so doing, Zulkiple would have been put through the intellectual process whereby strengths and weaknesses of shaping and deploying Para and Mekanize units for certain missions were discussed, role played and then operationalised from initial operational capability to full operational capability. 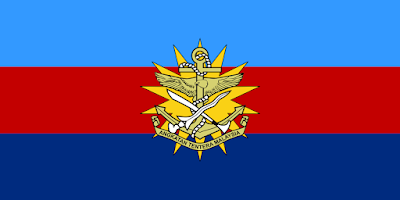 If you have spoken to senior Angkatan Tentera Malaysia (ATM, Malaysian Armed Forces) commanders, you will realise their CONOPS formulation is not without intellectual rigour. This is about as close to knowing thyself as one could ask for. And this is why Senang Diri is of the view Zulkiple has a unique pedigree. 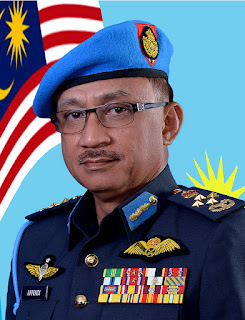 Over at Markas Tentera Udara Diraja Malaysia (TUDM), the career history of the current Panglima Tentera Udara (PTU), General Dato' Sri Hj Affendi bin Buang, has also charted an interesting trajectory. In his younger days, Affendi flew the A-4PTM Skyhawk fighter-bomber as operational pilot and was an instructor on the type before transiting to the MiG-29 TUDM Technical Team in 1994. He is recognised as one of the pioneers who introduced the MiG-29 into service and was one of the founding members of the "Smokey Bandits" MiG-29 aerobatic display team during his tenure commanding 17/19 Skuadron, which flew the type. 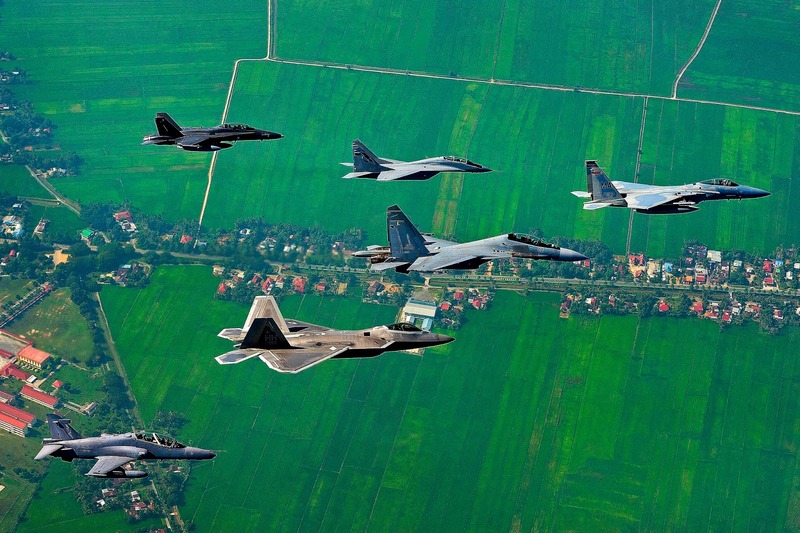 As TUDM Director General for Operations and Exercises during Cope Taufan 2014, Affendi earned a unique perspective working in partnership with the United States Air Force (USAF) to plan and execute the war games. This serial of Cope Taufan made the news as it marked the first USAF deployment of the F-22 Raptor to Southeast Asia. During Cope Taufan 2014, TUDM pilots flew with and against F-15s and F-22s during dissimilar air combat training (DACT), gaining invaluable insights as a result. What's more, Affendi's term as Panglima Angkatan Bersama (Joint Force Commander) and Panglima Operasi Udara (TUDM Chief of Air Operations) involved planning for Eksesais Paradise 2/2015. South of the Causeway, how have things turned out on the leadership front? The Singapore Army's leadership development has been affected somewhat by political factors. In March 2011, the Singapore Army had to backfill leadership appointments left vacant after then Chief of Army (COA), Major-General Chan Chun Sing, and Commander Training and Doctrine Command (TRADOC), Brigadier-General Tan Chuan-Jin, resigned to enter politics. Within a span of weeks, the Singapore Army had lost two senior commanders. What happened next was unprecedented. We witnessed a general who had hung up his uniform for the Admin service, Brigadier-General Ravinder Singh, recalled for duty as COA. Singh left the SAF a second time in 2014 with the rank of Major-General. At the time, the Singapore Army's carefully-curated succession plans were thrown off-track, albeit temporarily. With 20/20 hindsight, Singh's tenure as COA did not disappointment. Interestingly, the wide range of experience amassed by Zulkiple and Affendi was enabled by their longer military career. Zulkiple is 58 years old and Affendi, 55 years of age. This makes the two Malaysian Service chiefs much older than their SAF counterparts. But the ATM's approach to leadership development is different from the SAF's. Correspondingly, the result of a longer career runway is wider exposure to a range of experiences and, in the individuals cited, greater depth in professional knowledge. The lesson here is that the Malaysian Armed Forces does not stand still when it comes to transforming the armed forces to place it in a stronger position to execute its mission. And it would be a grave strategic mistake for anyone to underestimate their potential, resolve or ability to do what they need to do. As one Malaysian observer put it:"The last round of senior promotions has elevated officers who are aggressive and with strong operational background. Since their elevation, they have pushed their men hard to improve readiness and increase competency to compensate for the tight equipment budgets." By not retiring generals at a younger age, many junior officers get discouraged as their promotion are hampered by their superiors reluctance to leave their post. Even the US Armed Forces limit the time their generals can serve with either a maximum time in rank or a retirement age. SG's system is good. But it can be further improved by allowing SAF to hire good generals at a adhoc basis once they retire at a market rate. Firstly, junior officers are more motivated to excel as promotions become more available. Secondly, prevents nepotism from taking place. Thirdly, allow able generals to enjoy better pay. The SAF pays capable generals too little while paying incompetent generals too much. Ultimately, time served is not as important and proven results.